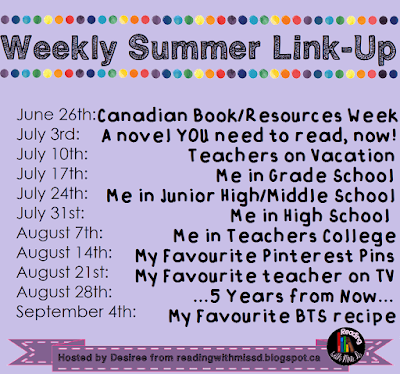 Hi everyone, and Welcome to the first week of my Weekly Summer Link-Up 2016! Please join in for ANY or ALL weeks that appeal to you. 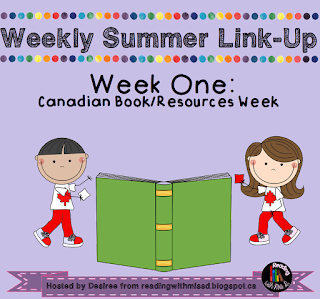 In honour of Canada day this Friday, this week is intended to feature Canadian books. I'd REALLY prefer if your post was more about a book than about the awesome product you sell, but you can of COURSE share a product, just try not to make it the focus of the post you link up with me below. Here is a reminder of all the coming topics. Below you will find the links to my prepared posts for each week. If it doesn't work, that means you are clicking on it before it is live. You're an eager beaver! Now... 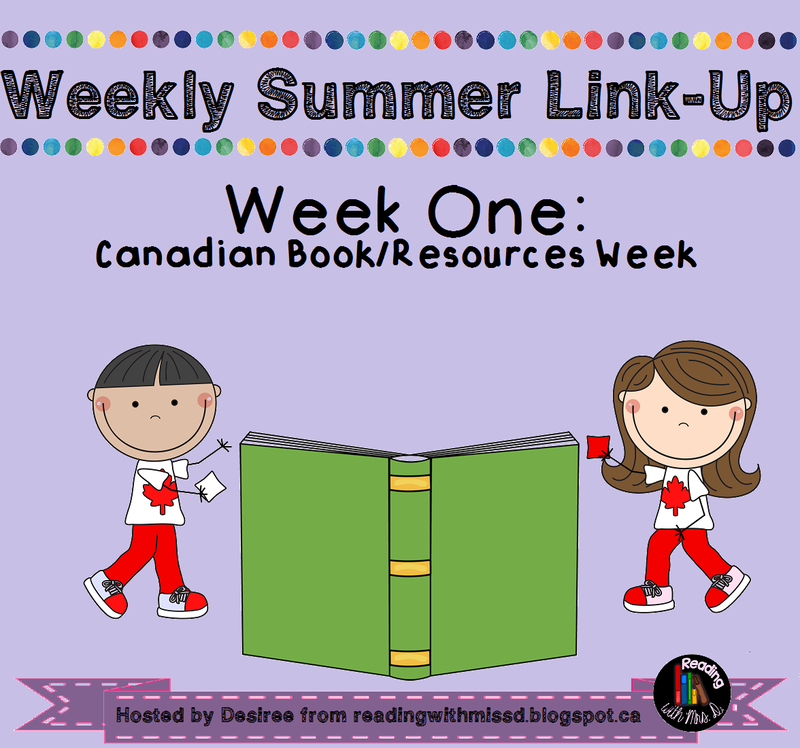 Onto MY Canadian Book Week Post! For my post, I chose a book by one of my FAVOURITE Canadian Children's authors, Robert Munsch! I have loved this author since I was in Elementary school and he CAME to my school to read some of his books to us. It was EPIC! Of course, I didn't use that word back in the late 80's, I probably said it was "so neat" "so cool" or maybe "awesome", although I'm not sure I was using awesome as my go to word just yet. But this post is not dedicated to either of these classics, I chose a book he wrote after a visit to my beautiful province, Nova Scotia. 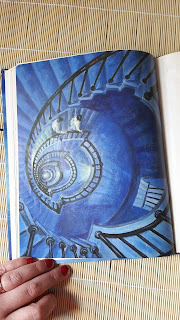 Do you know which book? I hadn't learned of it until recently, in fact it's one of his newer books, and therefore didn't exist when I was a kid and idolized how he read stories. (To this day, I try to read like him when reading his books and others written in a similar style). This very touching story is the story of a little girl and her father's night after the funeral of her grandfather. 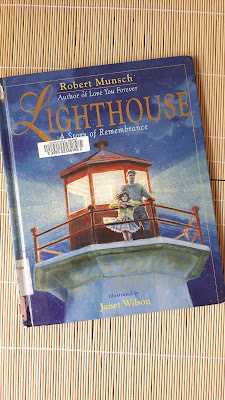 The little girl learns a lot about her father's memory of her grandfather and this lighthouse during this night, and gets to experience the memories with her father. It's a touching story of saying goodbye. Click on the title of the book above to read the lovely story about how Robert Munsch came to write this story, and hear him read the book to you. I will give you a hint. 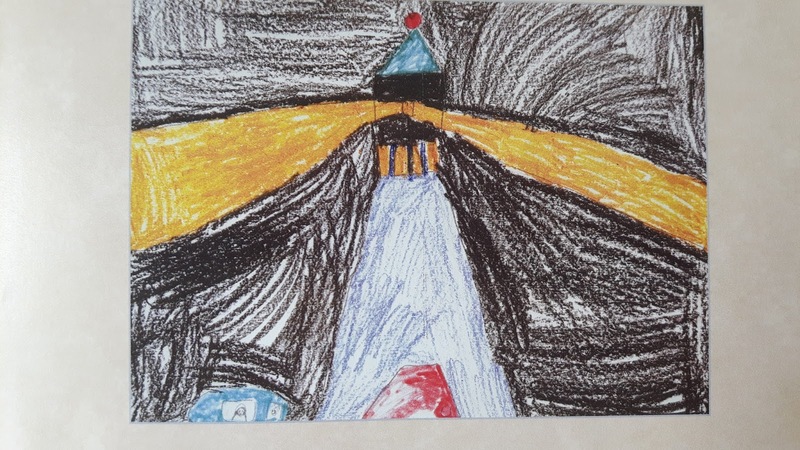 It has to do with a drawing a little girl left for him at a library reading. This book is beautifully illustrated as well. 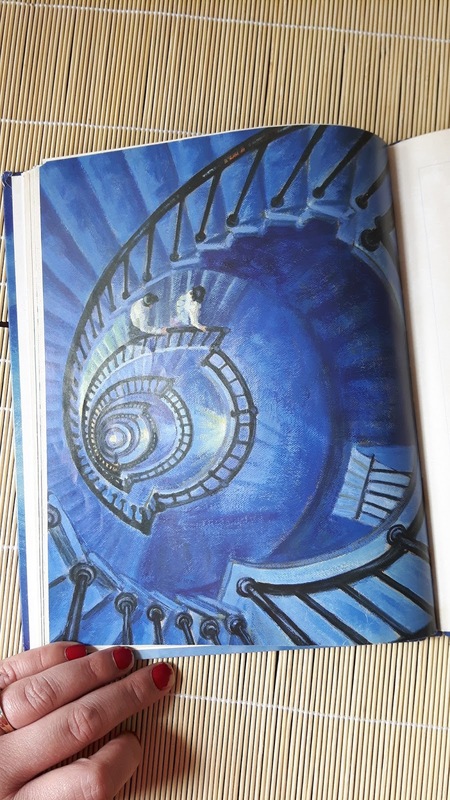 I particularly love this page showing the pair climbing the stairs of the lighthouse. There are so many ways to use this particular book in the elementary classroom. It could simply be read as one of many in a Robert Munsch author study, it could be read along with a series of books depicting Nova Scotian or Canadian symbols, or it could be read to the class that is experiencing grief. Maybe because one student alone has experienced a great loss, or if there has been a devastating loss to the school or community which all students are feeling. Today I'm going to discuss this book in the sense of loss. Sarah, the girl in this book, says goodbye to her grandfather in touching ways. 1. She climbs to the top of the lighthouse which meant so much to her grandfather and father and calls for her grandfather. 2. She throws a flower from his funeral out to the ocean in a spot that was special to him. 3. She slept beside a picture of him and her father at that spot. 1. Talk about their happy memories of that person, and share with both those who knew them, and those who are there for you. 3. Send something to the person: a flower like Sarah, or perhaps a balloon, a letter (sent either through the mail or burnt as in some customs), or a song performed in their memory at a memorial. 4. Locate and share pictures of the person to look at. The above ideas match the book, but there are other ideas which might help. I like the idea of keeping a journal where you can write down either memories of the person or letters to them to let them know how you are feeling. There are several versions of this available on teacherspayteachers by some awesome teacherpreneurs, so I won't make my own, but you can easily look up "grief" and find whatever you want. If you'd prefer to do a study on grief, I recommend also reading Velveteen Rabbit and The Giving Tree. It would be so easy to do a Venn diagram comparing any two of these. These two on their own or together can also help give your students a chance to talk about their grief in school. I dearly hope none of you have to deal with this, but statistically speaking, many of us will need to be equipped to deal with the circumstances. Now it's your turn! 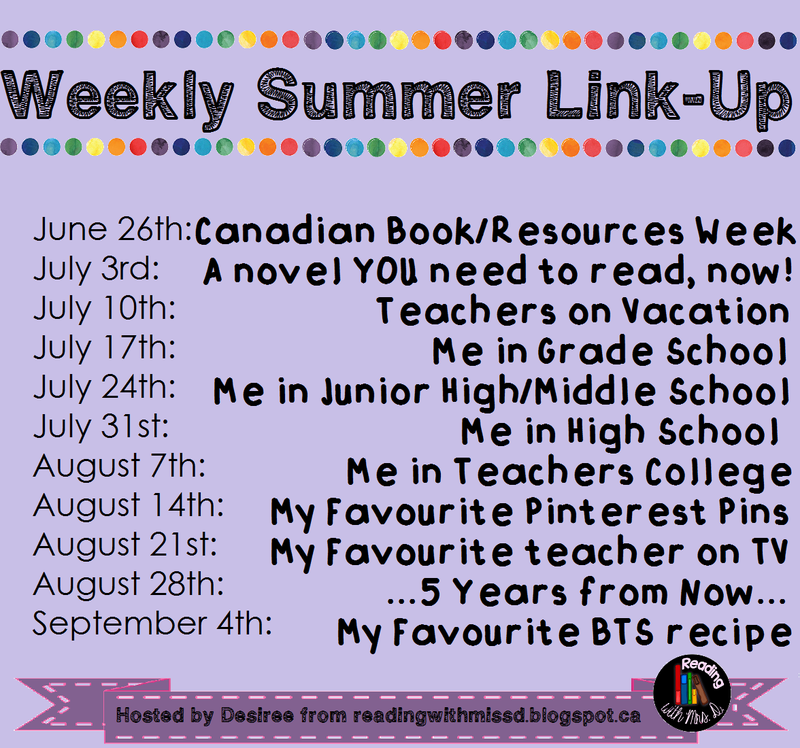 Add your link below to join the party and share your Canadian book!